–> Today is Jennifer’s Birthday so we went tourist wild. 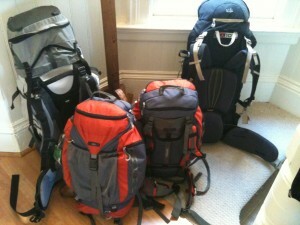 –> The boys have new writing up on their blogs in their latest schoolwork efforts. Callum’s is here. Declan’s is here – feedback appreciated. –> We did a boat tour on the river. Sad to report there was nothing to see. Seville doesn’t really have anything interesting or even just picturesque right on the river beyond the Torre Del Orro which is where the tour starts from. Definitely wouldn’t recommend this one for anyone. –> Yesterday was, it turns out, a public holiday here in Seville. It’s one of the strange things about long-term travel when you rent apartments, you can be quite disconnected. There really was no way we could tell that there was a public holiday on – no signs, no newspapers we could read, the sights and restaurants were open. We only found out by searching on the date after our epic supermarket search. –> Lunch today was a more authentic affair than we usually manage. 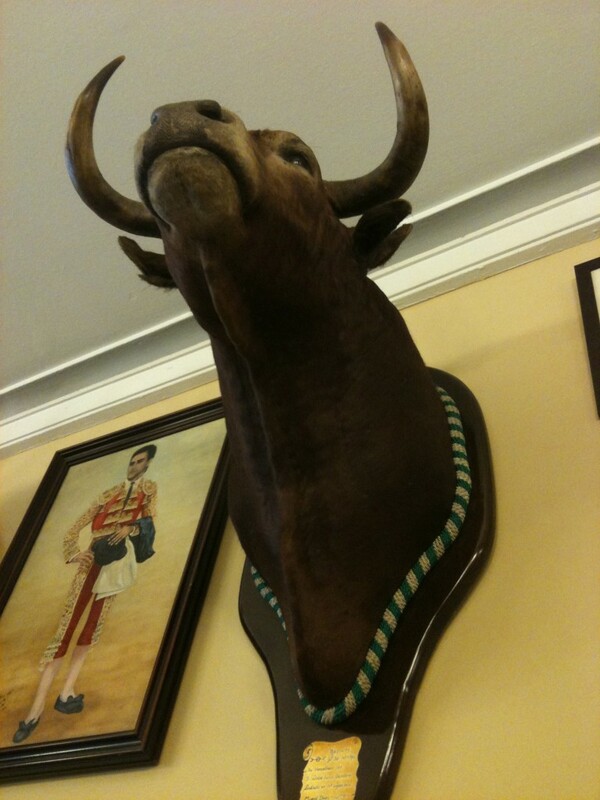 We ate in a little restaurant near the bullfighting ring – complete with stuffer bulls heads on the wall. It made for an interesting discussion about the ethics of bullfighting as opposed to slaughtering cows for food. 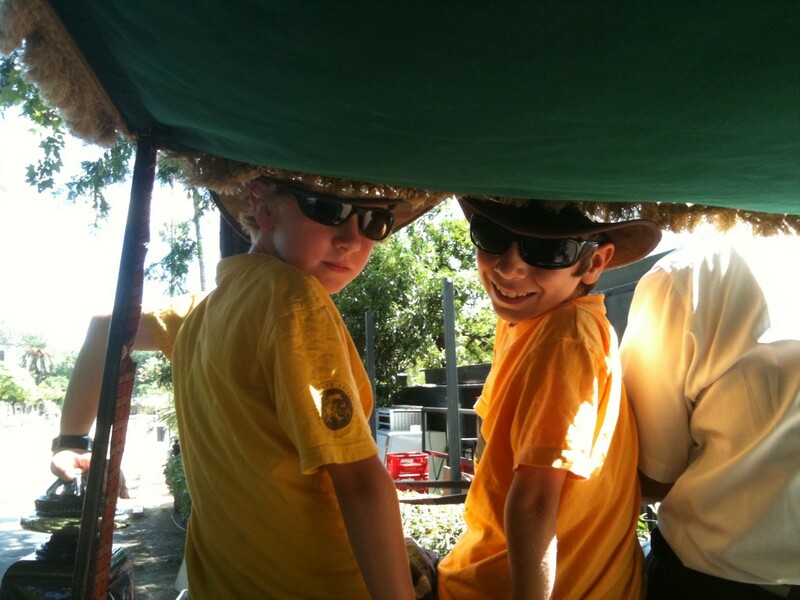 Boys up front of the carriage. 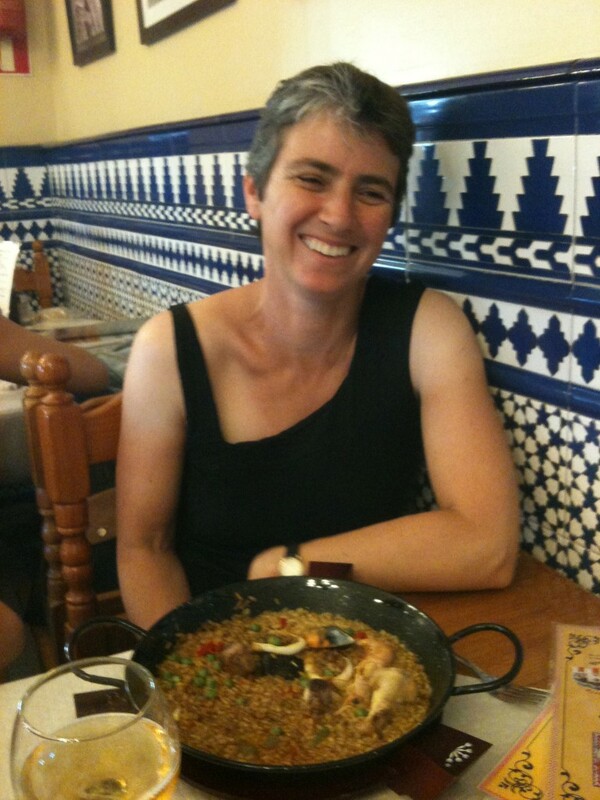 –> This afternoon we went on a horse carriage ride around Seville in honour of Jennifer’s birthday. It was a lovely experience. The boys sat up front with the driver, Jennifer and I sat in the back feeling very Pride and Prejudice. Moving along created a lovely breeze especially when we drove through the shaded avenues of the main park. Not as cool as a Segway perhaps, but a lot of fun in any case. Happy birthday! Glad to see you celebrated in style.